Where Is Your Focus in Life? Is it on others or on yourself? Do you look after yourself first, before others, so that you can give freely and not be giving out of guilt or looking for love in return? This book can help you in many ways for your personal growth. It helps you change the negative thought patterns that you have learned along the path of life and offers you affirming statements to use instead. Your life becomes better and healthier when you learn to love yourselves in healthy ways. It is then, that you are able to reach out to others and, ultimately, help create a better world. 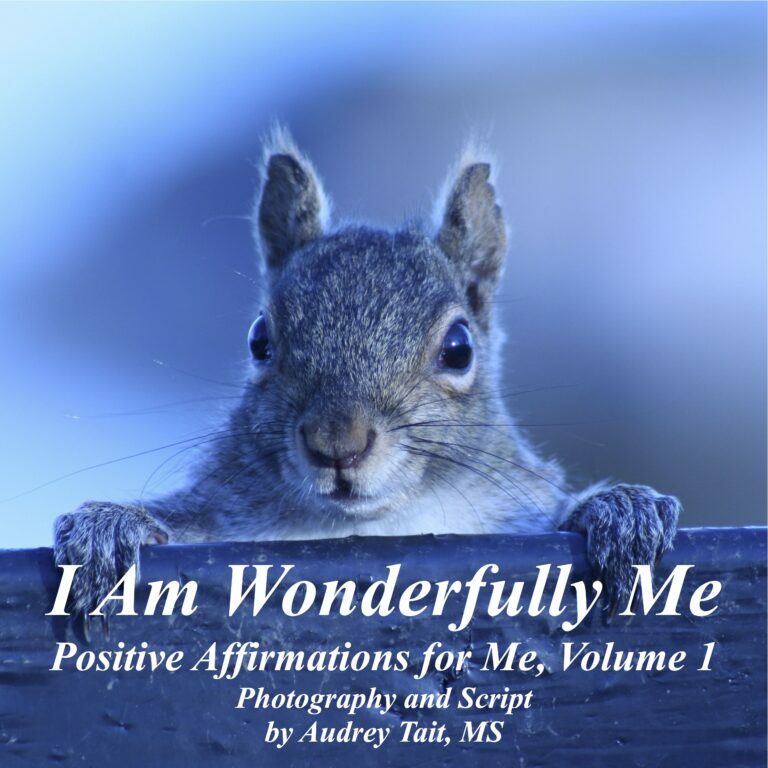 “Tait’s photos and affirmations will be helpful for people struggling with the negativity and destructive messages that can infiltrate our lives—whether those people are in the recovery and mental health communities or are others simply looking for a way to develop positive thinking. This book is a helpful tool in the journey toward healthier living.”Patrick Carnes, PhD, author of Out of the Shadows.